In preparation for Greg's departure, we have been tasting as many samples as possible. 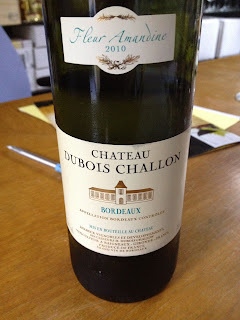 The first is from Bordeaux by Pascal Delbeck, formally of Chateau Ausone. Chateau Ausone is one of only two wines to be voted Premiere Grand Cru Clase A. After being bequeathed the estate, Pascal was forced to sell due to tax hardships. Regardless, he's a wine genius, and it was evident in this 2010 Chateau Dubois Challon. This Muscadelle (5%), Sauvignon (50%), and Semillion (45%) blend is characterized by a pale straw color, floral and fresh bouquet, and a rich, layered lasting finish. 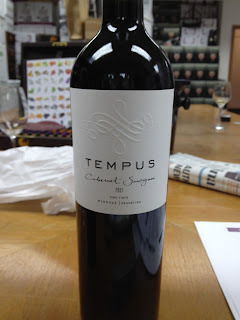 Needless to say, Greg and I were both fans of this beautiful wine. Next we had some visitors pop in from Argentina. No big deal. From Argentina they brought an array of Malbecs and Cab Sauvs for us all to enjoy together. I haven't had an Argentinian wine since living in the states, and man after one sip did I realize what I'm missing. These are my kind of wines. Big flavors. Big spice. Big finish. Palate: Fruity with big spice. Jammy and ripe fruits. 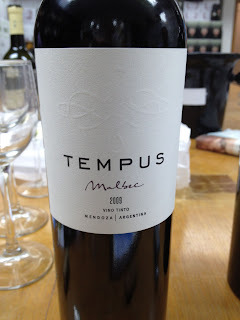 Palate: Fresher than typical Malbecs with big spice up front and secondary hints of red fruit. Palate: Big! Bold! Fruit and spice punch! Blackberry with cough syrup (in a good way! 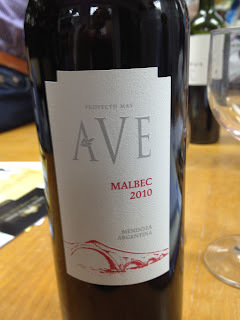 ), high tannins and nice finish. This was totally my favorite. Right up my taste alley, if you will. Greg didn't seem too convinced, but we still have two more higher level wines to try another day. How will they fare? I suppose we'll have to wait for Greg to return.